Our Thermal Survey uses the latest technology in thermal imaging, to give you valuable information about your roof integrity and areas where leaks could develop, as well as locating already existing leaks. 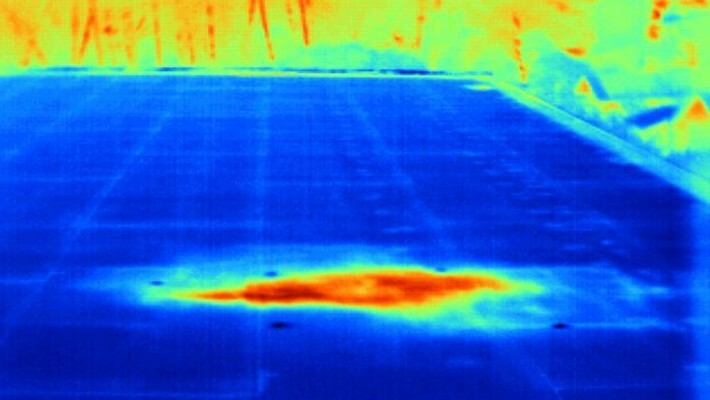 Thermal Imaging is an extremely cost effective technique for evaluating the integrity of a wide range of roof systems and is a non-destructive type of testing. It is an invaluable resource for showing you where insulation is missing or damaged or if water is trapped under membranes, slowly creating a problem that could cost thousands. Building owners can then make an informed decision to action any defects identified to extend the life span of the roof and also intelligently prepare for the future, preventing emergency costs that could have been avoided.